A new challenger appears! 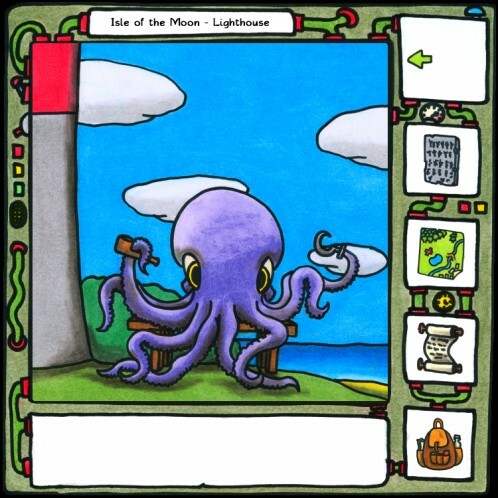 And it’s… a whale? 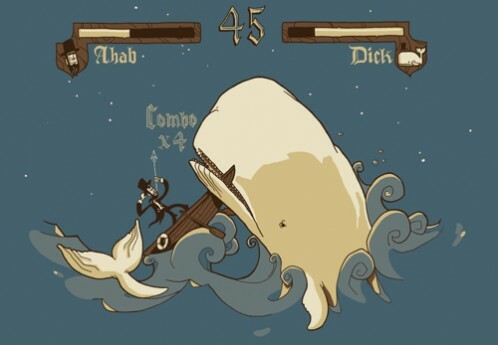 A great, white whale? On a T-shirt? Yep, on a T-shirt. 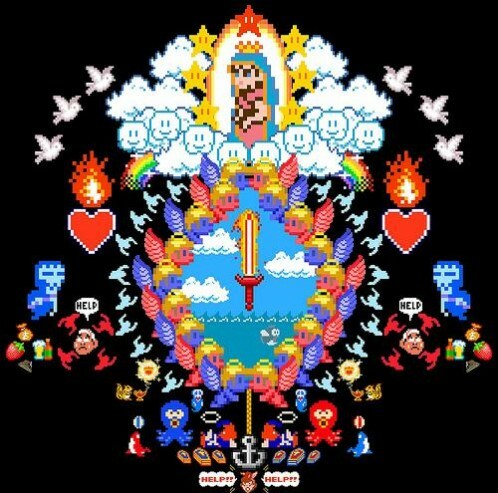 So laFraise is basically the European Threadless: aspiring designers submit potential T-shirt designs, and the winning art is printed in gratifyingly limited runs. 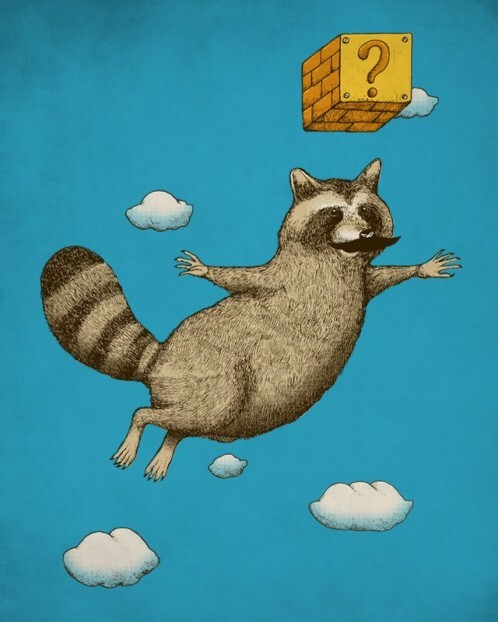 I have no idea what is happening on this shirt, but I like it. At €19, it’s pretty expensive (US$27, in fact! 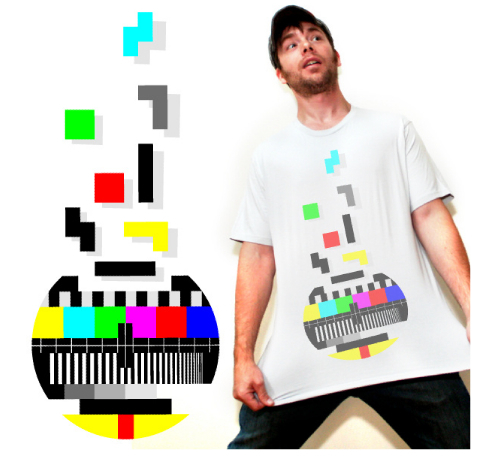 ), but—well, no, OK, I just confirmed that’s how much it costs to have 5-7 colors hand-screened by Spreadshirt. So I guess it… isn’t… that expensive. Aside from hitting up UNIQLO Friday for Phoenix Wright shirt goodness, I actually went to check out the newly opened storefront for the fitted-hat and stylish streetwear aficionados at Mishka. Lo and behold, what did they have there? 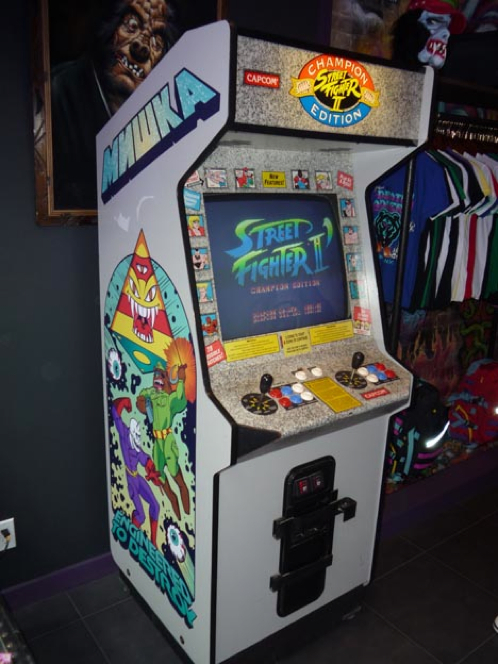 Oh nothing, just some cool clothes and the most awesome-ist custom-painted Street Fighter II cabinet ever, set to free play. I haven’t entirely abandoned the site, of course! In fact, in the interest of supporting it, I have been toying with a banner ad slash affiliate program called Project Wonderful. And while Project Wonderful doesn’t generate enough revenue for me to wholeheartedly recommend it, I do think it’s cool that I (yes! Me!) am able to basically pick and choose whose ads cycle through the little square on the right. And I can’t wait to run this one ad for D20 necklaces. 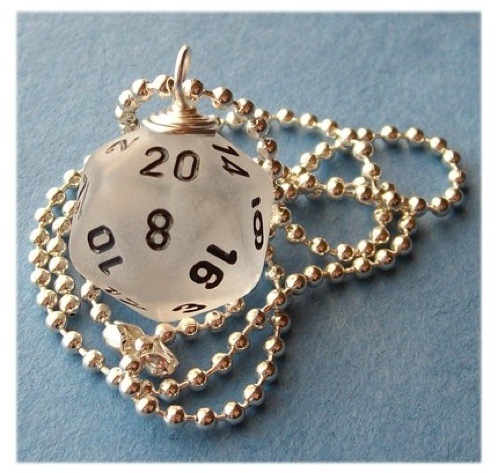 Apparently, she has twenty-sided dice available in most every color of the rainbow, to be strung onto silver-plated ball chains, satin cords, or keyrings. And don’t get me started on the 42 earrings. T-shirt Thursday: Everyone’s doing it, so why don’t we? I’ve been thinking a lot about T-shirts lately. That is to say, I’ve been thinking a lot about how I’m going to pay for Infinite Lives. And if you think of a niche blog as, um, a college radio station, the answers to your funding questions are: yes, a phone-a-thon; a grant from Annie May Swift, ideally; people who will work for free, of course; lots of free press in Spin magazine; a T-shirt! The going will be tough, though. Everyone and his mom has a T-shirt, after all. 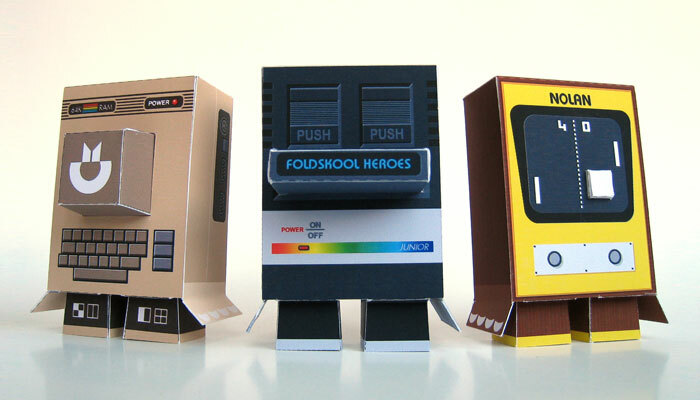 Today, Phil Fish’s Polytron Corporation announced their brand new T-shirt shop—this design is so, so wearable. 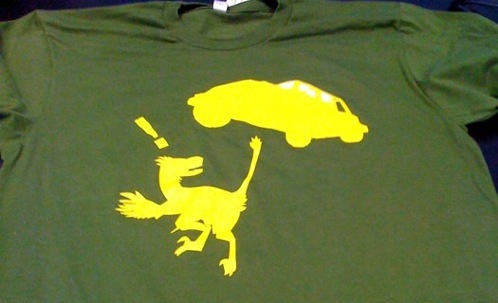 And Flashbang Studios tweeted their overdue design for the Off-Road Velociraptor Safari tee. 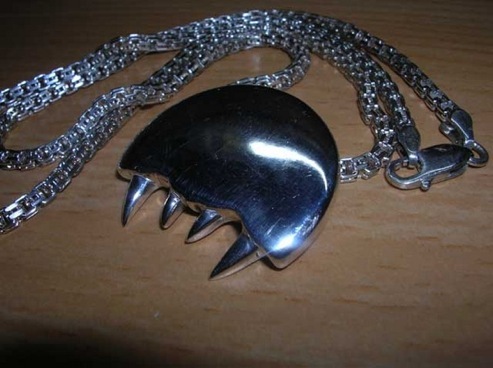 I’d wear it! But more importantly, what would you wear? Actually. I’m trying to sound surly, but the truth is, I’ll never get sick of these. Let me stress that this is actually connected in no way to the earlier post about 8-Bit Christmas music. 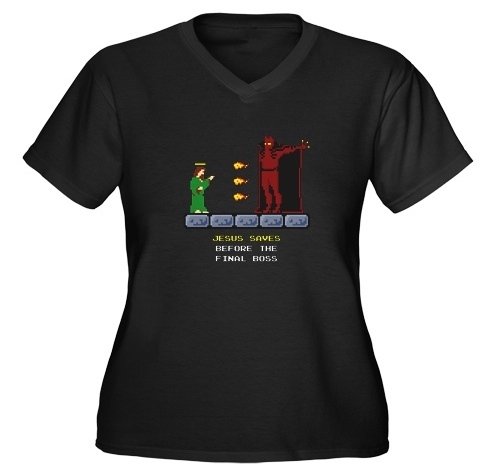 But a quick google of “8-Bit Jesus” brought me to this CafePress store, heralding the apocalypse. Was it a joke? I had to find out. 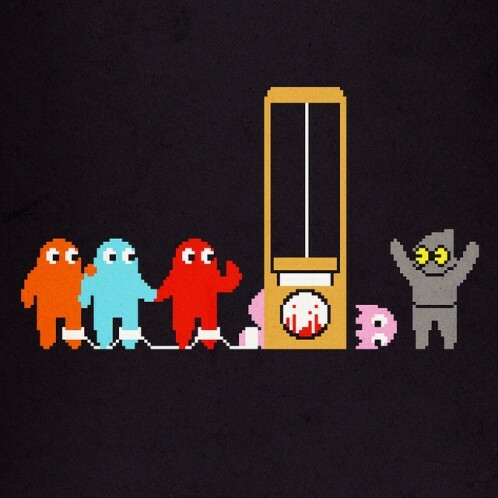 These charming, respectful images are the ultimate attire for anyone who loves classic video games. 8-Bit Jesus is distinctive, but not preachy. Irony-compatible, too, if that’s your thing! So there you have it. They’re earnest, but atheists officially have the makers’ permission to think they’re cool too. Shirt designs include Godtris, Sign of the Cross Combo (up, down, left, right), and—this is kind of my favorite—Jesus Saves. Right? It’s kind of Castlevania-ey. Jesus is all, “You don’t belong in this world!” And Satan’s all, “What is man?” Beautiful, beautiful. 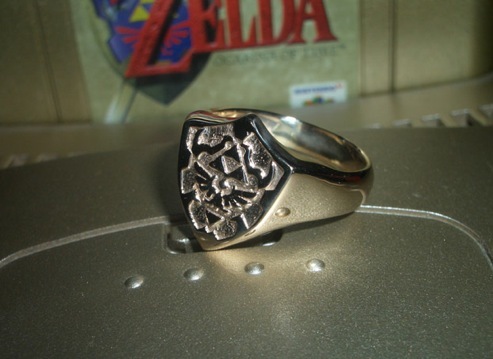 This guy makes Nintendo jewelry, hand-wrought from gold and sterling, for himself, his girlfriend, and less often, for very close friends. 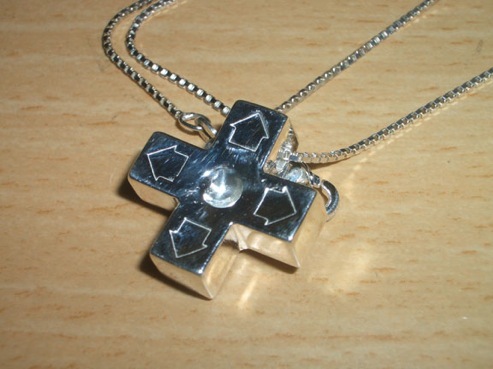 Most of these pieces—including the heartbreakingly beautiful D-pad necklace—are one-offs, never to be forged again. Look, and weep. Edit: A friend just asked me what “the thing in the middle is supposed to be.” It is so obviously a metroid, hello? So I just thought I’d clarify here, too: it’s a metroid. Via Laughing Squid: Feast your eyes on these high-contrast Spore Creature Silhouette designs, which are available on both T-shirts and promotional posters through zazzle.com. Because the official Spore store is powered by Zazzle, you can also upload your own Spore creature, then make a custom T-shirt, coffee mug, or postage stamp. Ooh, what a great find. Never mind the existential agony of the ‘wait’ icon: this is top-notch design. It’s US$89.00—a lot of dough, but worth it, I think.